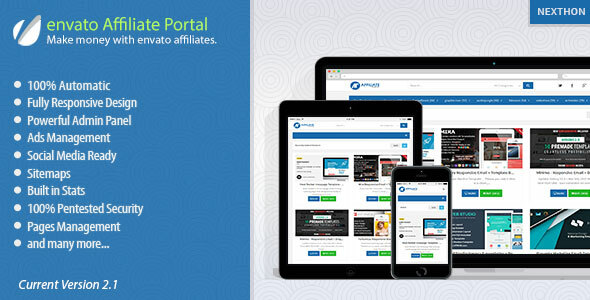 Envato Affiliate Portal script lets you earn money very easily. The script has very friendly user interface and powerful admin panel to control the website settings. Products can be added using bulk add or direct from direct envato sources using Ajax. You can also set cron jobs to automatically add new products daily. It automatically adds envato username at the end of every link to make it envato affiliate link When user visit this product link from your website you will get 30% commission on his first envato deposit you can earn money by placing ads on your website.